No metal! No wires! Just beautiful, straight teeth! Clear, comfortable Invisalign aligners are nearly invisible and can removed for oral hygiene. Invisalign has a proven, 15-year track record of successful results with teeth straightening and adjusting bites. This modern approach to straightening teeth and correcting bite alignment uses plastic aligner trays that are comfortable and virtually invisible, rather than traditional sharp wires and clunky metal brackets. Dr. Artin Meserkhani treats both teens and adults with Invisalign. He will begin by examining your teeth and bite (how the teeth come together) to ensure that Invisalign is the best choice for your individual case. After earning his Doctor of Dental Surgery (DDS) degree from Loma Linda University, Dr. Meserkhani continued his education for several years at the University of Rochester, where he achieved certification in orthodontics. He continues to hone his skills with post-graduate education through prestigious orthodontic and dental organizations. Dr. Artin Meserkhani has also been granted the status of Preferred Provider by Invisalign. Dr. Artin Meserkhani is passionate about orthodontics and helping patients of all ages achieve beautiful, healthy smiles. His philosophy is to provide outstanding orthodontic care in a positive environment. An excellent communicator who listens carefully, Dr. Artin Meserkhani explains treatment options thoroughly and answers any questions you may have. He loves seeing his happy patients gain confidence with their straight new smile. Watch this video to learn how crooked teeth are not just an aesthetic issue; they can lead to periodontal disease and adversely affect your overall health. The Invisalign teeth straightening procedure provides many advantage over traditional metal braces. Some of these include the following. They’re nearly invisible: Others may not even notice you’re wearing Invisalign clear aligner trays. Important events: You don’t need to be memorialized in photos with a mouth full of metal – simply remove the trays. Less time in the chair: Dental visits are scheduled every six weeks, less often than visits with traditional braces. Clear, plastic aligners are removable when needed and don’t irritate gums like metal braces often do. The Invisalign process uses a series of clear plastic aligners to gradually and gently shift your teeth into the correct position. This treatment takes approximately a year for adults, and for teens about the same amount of time as treatment with braces. Without wires and brackets obstructing your view of your teeth, you can see the positive changes as they occur! In addition to external photos and digital X-rays, Dr. Artin Meserkhani takes digital impressions of your teeth. Digital impressions are taken with a small handheld camera and eliminate the need for gooey, uncomfortable impression materials. Invisalign creates a series of custom-made, clear aligners following the treatment plan designed by Dr. Artin Meserkhani. These aligners are made of a smooth, BPA-free plastic that won’t irritate your gums like traditional metal braces often do. It’s recommended to wear the aligners for 20-22 hours in a day. You can remove the aligners to eat and to brush and floss your teeth. You’ll switch your aligners about every two weeks, with each new set advancing you to the next stage of the treatment. Dr. Artin Meserkhani likes to see you every four to six weeks so that he can keep an eye on your progress. Invisalign Express offers a convenient, affordable, fast and effective way to straighten minor cases of crooked teeth in three months or less. This accelerated process uses five sets of aligner trays that are replaced approximately every two weeks and gradually shift the teeth in the same manner as the longer process. Invisalign Teen aligners can be removed when eating and taking photos. Teen years are filled with important events such as graduations, proms and first dates – all of which are well documented. And who doesn’t snap and share a selfie once in a while? Teens can have their teeth straightened effectively with Invisalign Teen® clear, removable aligner trays once their adult teeth have erupted. Invisalign Teen offers the same benefits as adult treatment, with a few added bonuses. Compliance tracking is built into the trays so that you, your teen and your dentist can check how often the trays are being worn. Six replacement trays are provided free of charge with Invisalign Teen, and like the adult treatment, Invisalign Teen aligner trays can be removed to eat, brush and floss. Invisalign treatment can fix a wide variety of problems with teeth and bite alignment. Mild cases of crooked teeth as well as much more difficult problems involving serious bite issues can be corrected with the clear plastic aligner trays. 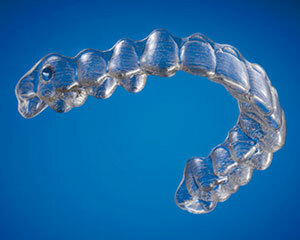 Following are some of the main conditions Dr. Artin Meserkhani can correct with Invisalign. Crowded teeth can be difficult to clean the teeth properly. Lack of proper oral care can promote tooth decay and cause a higher risk of gum disease. An overbite can cause excessive wear on the lower teeth, gum irritations and can also cause jaw problems. This occurs when the bottom teeth protrude beyond the upper teeth and can interfere with the normal function of front teeth and molars, and can lead to jaw problems. Gaps can cause teeth to shift into the empty spaces and become loose because the dental arch is not as secure. Food and bacteria are easily trapped in gaps and increase the risk for tooth decay and gum disease. An open bite can interfere with chewing and can cause speech impairment and jaw problems. This is a symptom of jaw misalignment, which can cause worn-down teeth, gum disease or both.